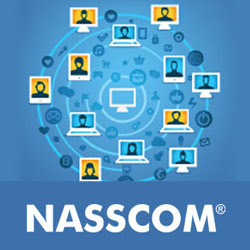 Nasscom, the apex body of the Indian IT industry, on Monday refuted allegations of the US administration and defended TCS and Infosys, saying that the two got only 7,504 H-1B visas, which is 8.8% of the total visas processed during FY2015. The clarification comes after the US complained that Indian IT firms TCS, Infosys and Cognizant unfairly received a major share of H-1B visas by putting extra tickets into the lottery system, which the Trump administration wants to replace with a merit-based immigration policy. In a statement issued on Monday, Nasscom stated that only six of the top 20 H-1B recipients were Indian companies during FY2015. Indian technology companies use H-1B visas to send their employees to work at customer sites in the US, which is the largest market for the over $110-billion Indian IT export industry. It also states that all Indian IT companies cumulatively account for less than 20% of the total approved H-1B visas although Indian nationals get 71% of the H-1B visas. “This is a testimony to the high skill levels of Indian-origin professionals, especially in the very coveted STEM skills category. The US Department of Labor estimates that there will be 2.4 million unfilled STEM jobs by 2018, with less than 50% of these vacancies in IT-related positions,” points Nasscom. In the US, along with other global markets, there is a growing sentiment of protectionism, including coming up with various measures to safeguard jobs for locals and raise the bar for foreign workers. Every year, the US grants 65,000 H-1B visas while another 20,000 are set aside for those with American advanced degrees. Also, the Trump administration wants to replace the current lottery system with a more merit-based immigration policy. The annual number of Indian IT specialists working on temporary visas for Indian IT service companies is about 0.009% of the 158-million-member US workforce. “A survey also finds that the average wage for visa-holders is over $82,000 apart from a fixed cost of about $15,000 incurred for each visa issued which includes visa cost and related expenses. This is over 35% higher than the minimum prescribed exempt wage of $60,000,” states Nasscom.